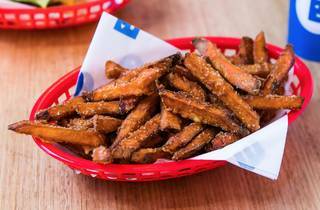 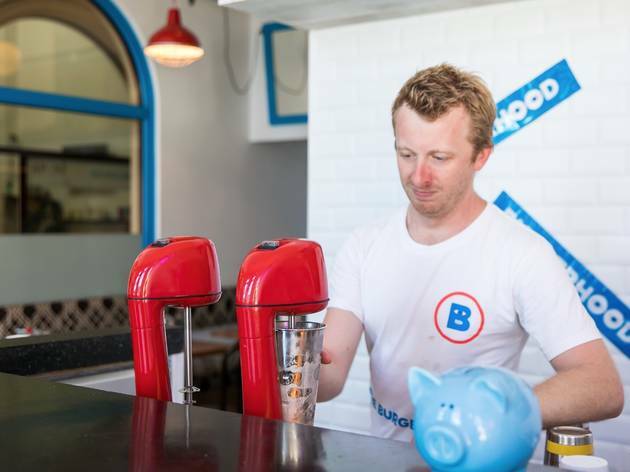 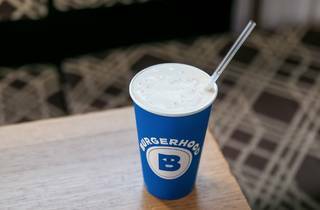 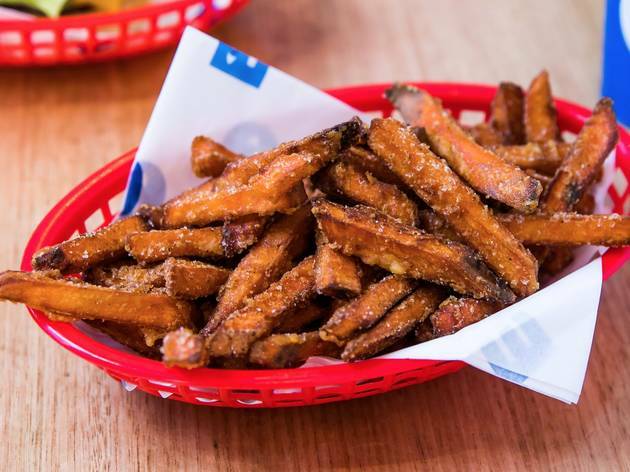 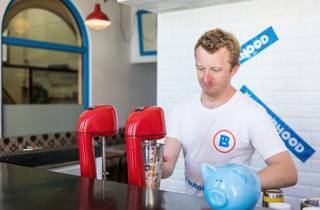 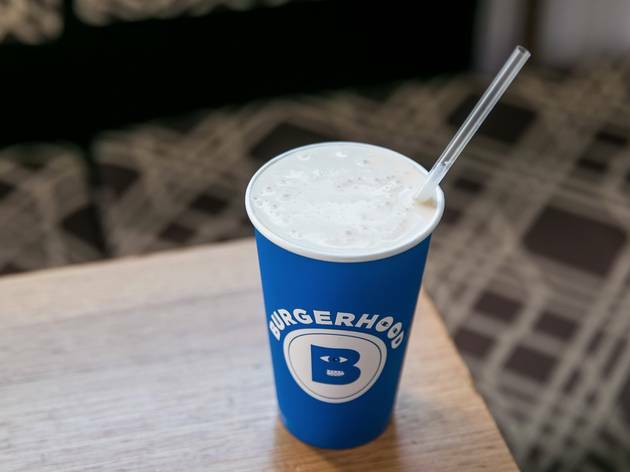 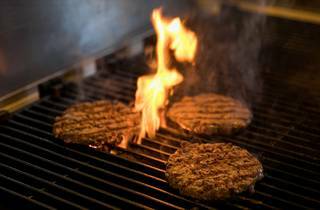 There is a very big difference between commercial fast food and a place like Burgerhood. 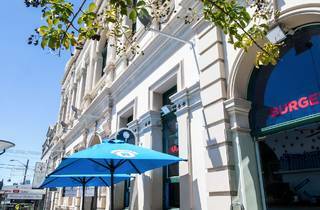 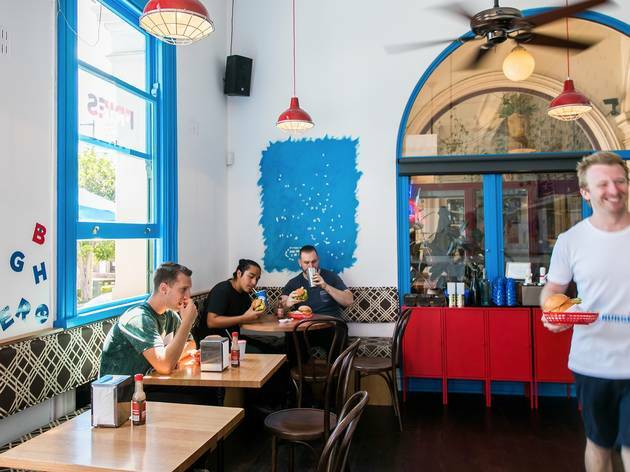 This neighbourhood burger shop on Darling Street in Balmain used to be one half of Wilhelmina’s small bar. 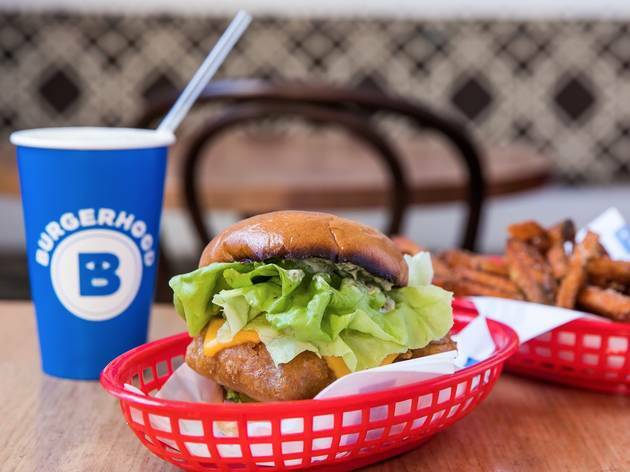 But what was slightly awkward as a dual carriage bar works really well as a bar next door to a burger shop with an inclusive attitude and free soft serve. 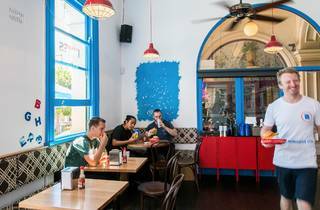 That’s right: free, provided you eat in, which is actually a more compelling prospect than you might assume thanks to the street-side tables under big umbrellas – this is prime dog-watching territory. 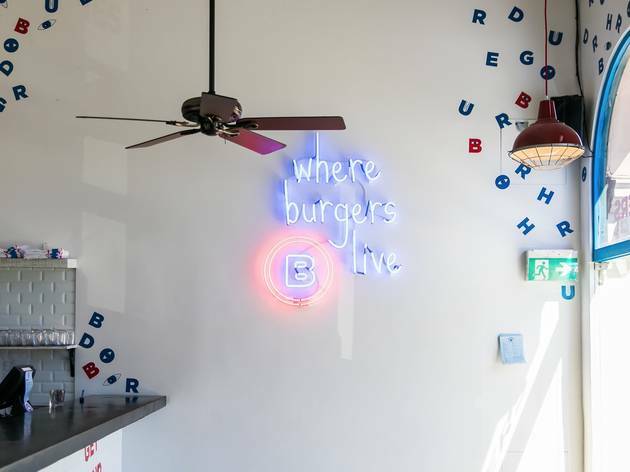 Once you order your bun stuffers, fries (sweet potato or regular shoe string), and possibly a banana milkshake that smells like the lollies, not the fruit, you can camp out in the evening light with the casual attitude usually reserved for a café breakfast. 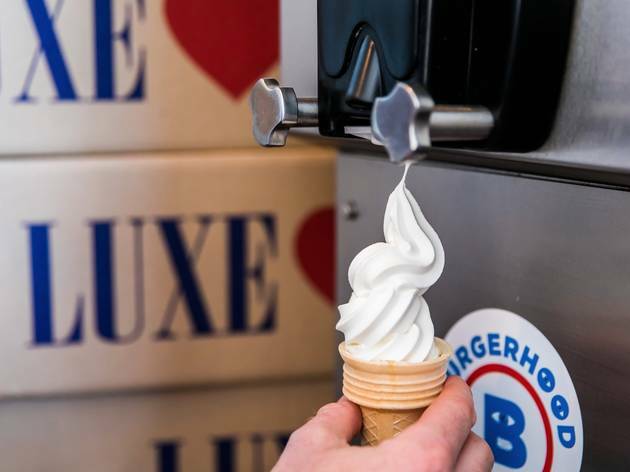 Once you’re done, grab a cone from the counter inside and self serve that soft serve. 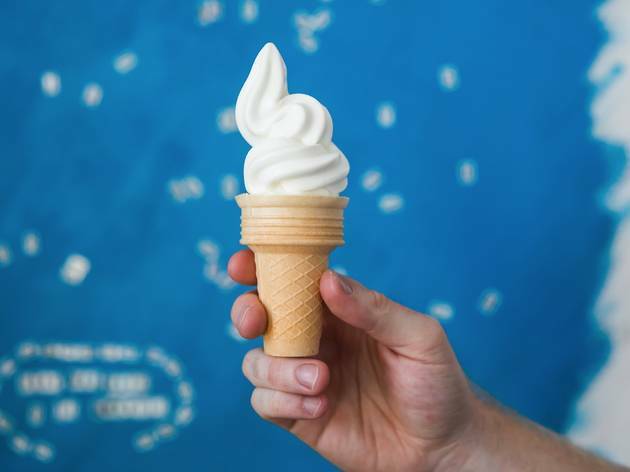 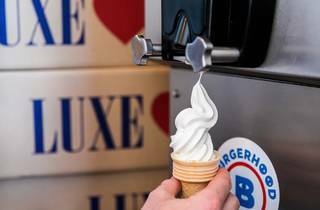 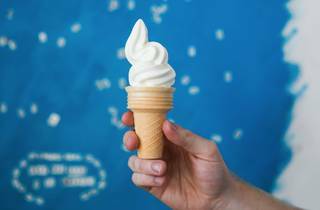 You can get a second cone – for you or a pal – for a gold coin donation that goes to a local primary school. 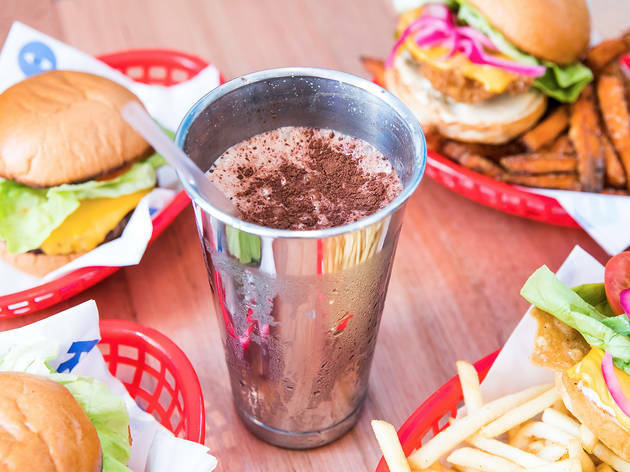 If booze, not sugar, is your vice you’ll be pleased to hear they have a licence, so a Coors or a Sierra Nevada pale ale is yours for the asking. 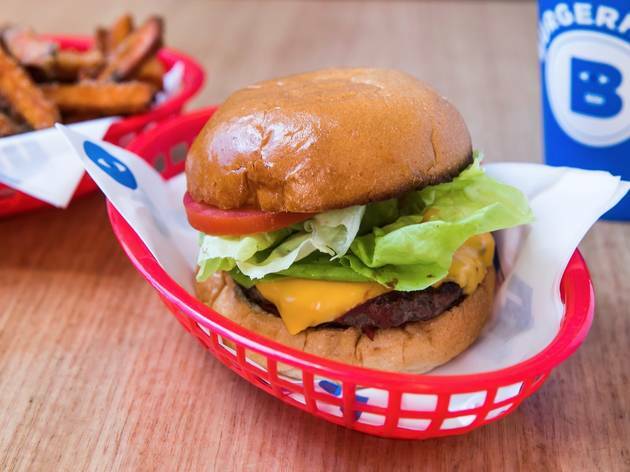 After rigorous testing we reckon the hood burger is the way to go. 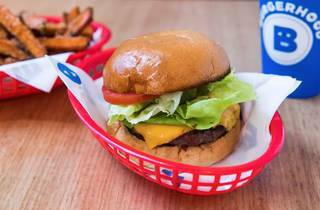 It trumps the cheeseburger with the addition of lettuce, tomato, onion and hood sauce, which is zippy with pickles, like a snazzy tartare, but creamier, and also very good on chips. 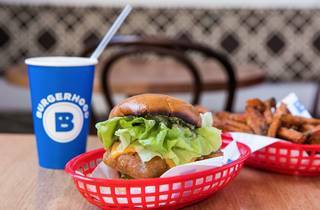 The Bloody Mary burger swaps pickles for horseradish, but is messier in the eating – the burgers here lean towards the saucier end of the spectrum and the bread won’t always make it to the final bite. 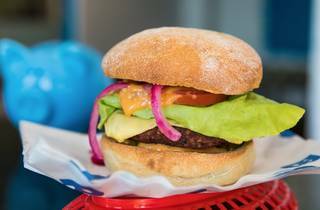 Vegans and vegetarians get a salty spiced patty that’s stained pink with beetroot. 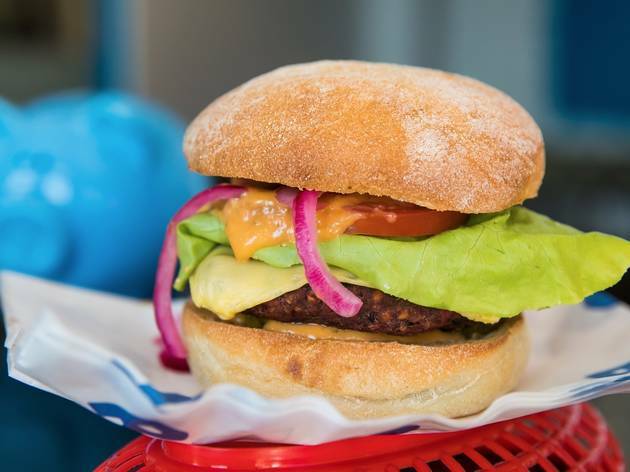 You can get gluten-free buns, and also egg free options, too. 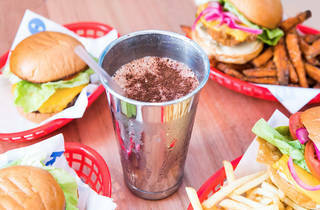 This is not a fast food chain. 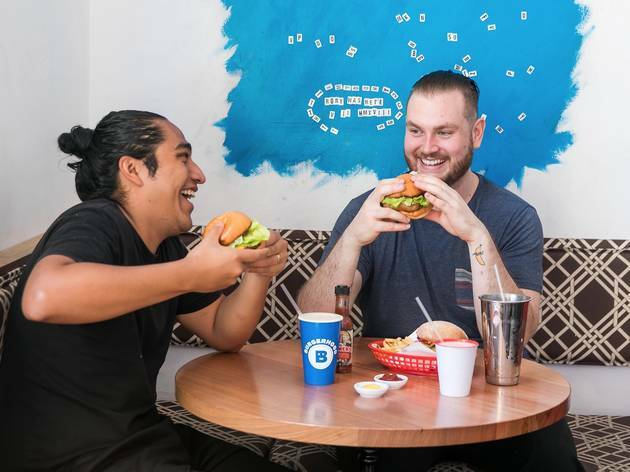 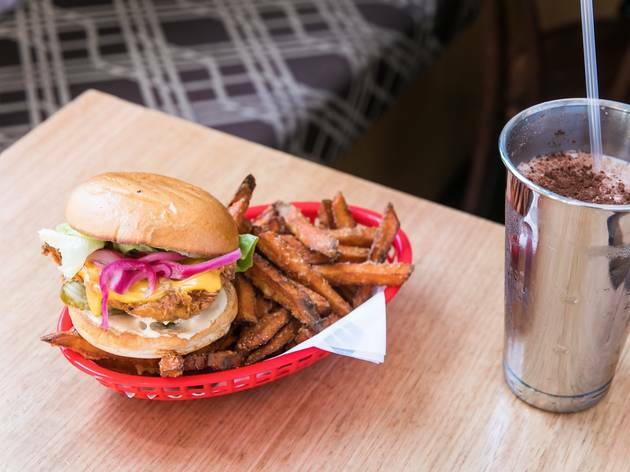 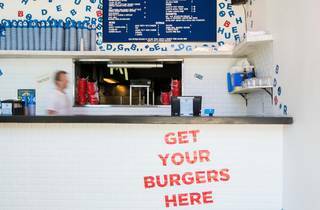 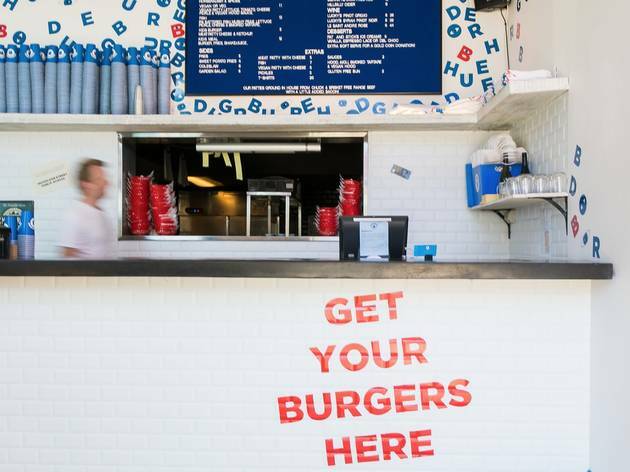 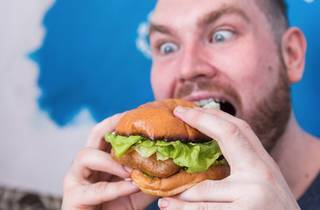 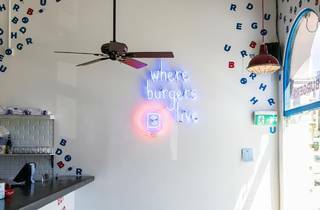 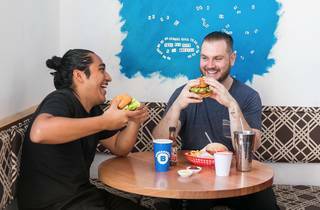 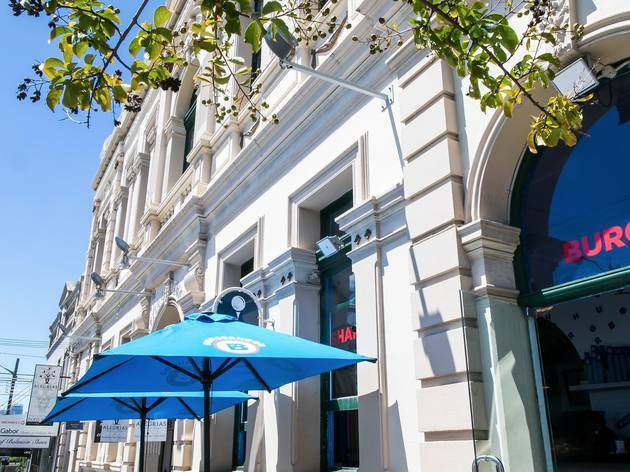 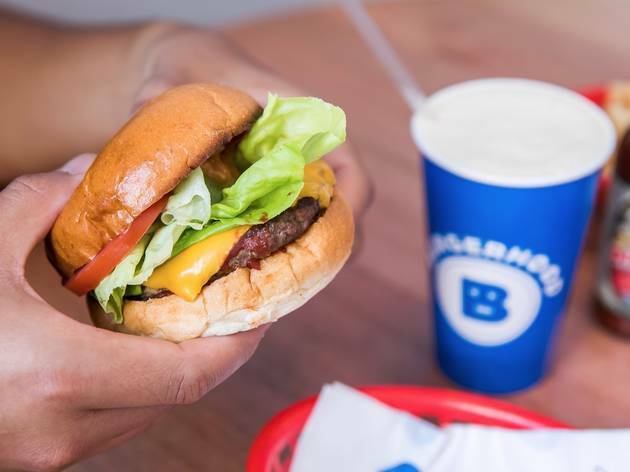 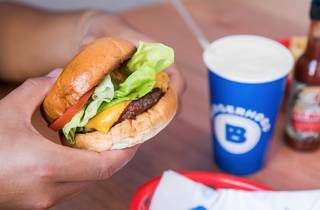 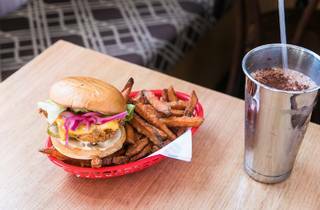 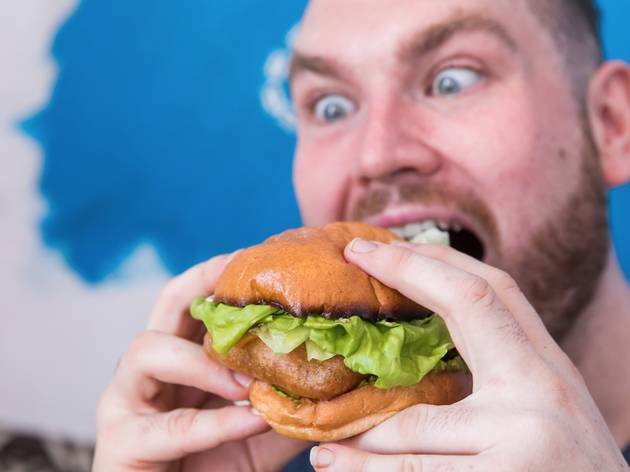 They grind their beef patties out of free-range beef and give out free ice cream because they’re a neighbourhood shop that feeds a crowd of locals and regulars who are two thumbs up for cheap, tasty thrills in Balmain.